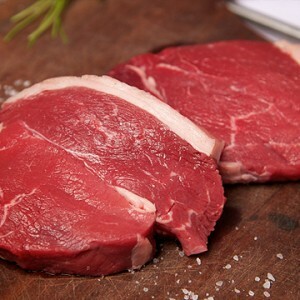 A tender cut of beef from the lower back of the animal, suited for roasting and steaks. It is slightly less tender than sirloin but still can be cooked quickly. 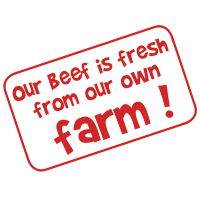 Rump steaks can be grilled or fried and are usually accompanied with sauces such as peppercorn or red wine sauce. 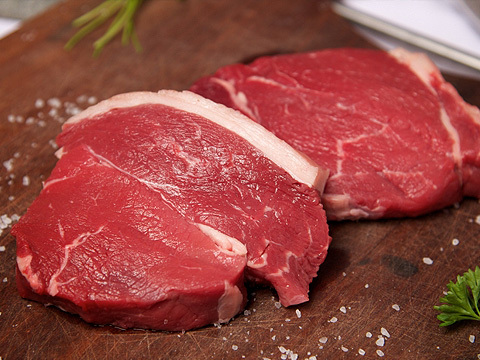 Rump steaks are also used well in stir-fries and sosaties.